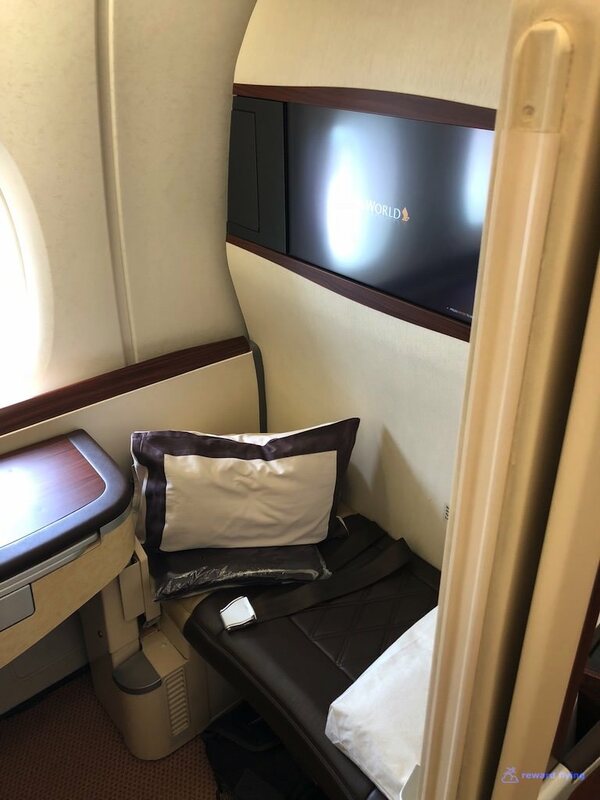 If you can’t get excited about flying Singapore A380 Suites class, then reward flying isn’t for you. My anticipation could only have been higher had this been the earlier flight from Sydney which was on a new A380 with the new Singapore first class suite. But my waitlist had failed to clear so I had to slum it in the old style Suites. Arriving on the convenient train from downtown Sydney, I got my exercise for the day as Singapore’s check-in counter is Aisle K, the farthest one from from where I’d entered. With no special ground services for first class or suites guests, other than a fast track card which wasn’t necessary, I headed through the maze of duty free shops to the departure gate of 57 in Terminal One, also the farthest away. Located up the escalator is the Krisflyer lounge. 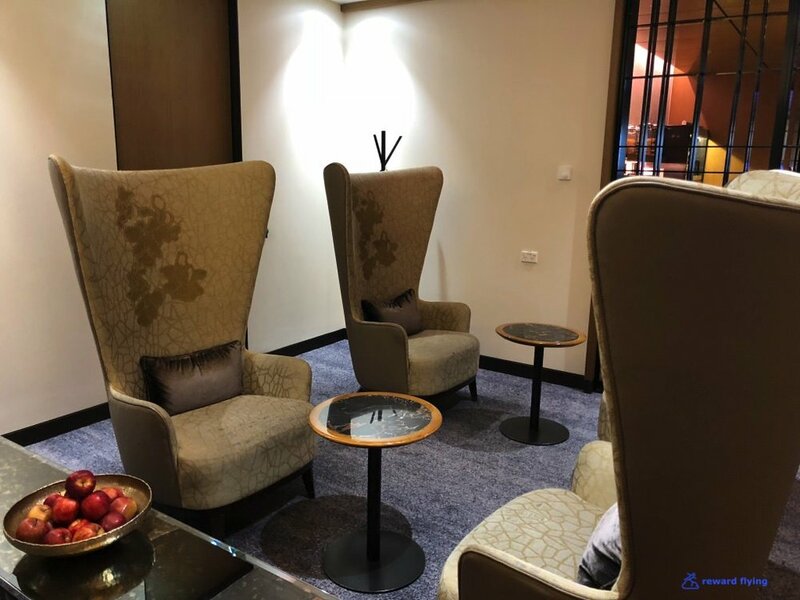 This lounge has a business side as well as first class side on the right. It’s a smaller sized room that’s been beautifully decorated and has nice views of the tarmac. 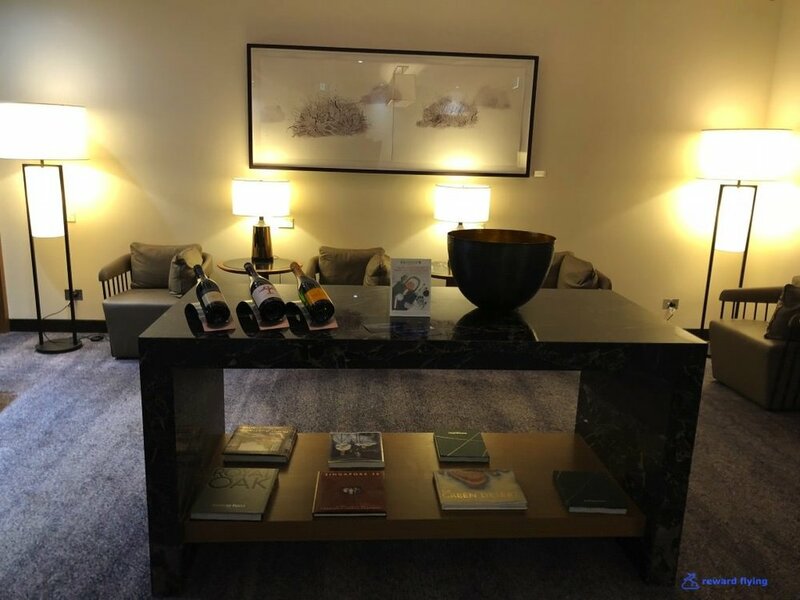 The lounge has 3 sections, the front which is primarily seating, center area which has buffet food as well as a la carte dining and seating and rear seating with a tarmac view. I headed back to the rear and found a seat. A waiter presented a menu and asked if I wanted anything to drink. Knowing the catering truck was just outside the window loading my Book The Cook meal, I didn’t want to go overboard, so I ordered Chicken Satay which was simply perfect. Other than the many items I would order from the a la carte menu, there were buffet style selections as well. On my way out I took a look at the washroom/shower area. 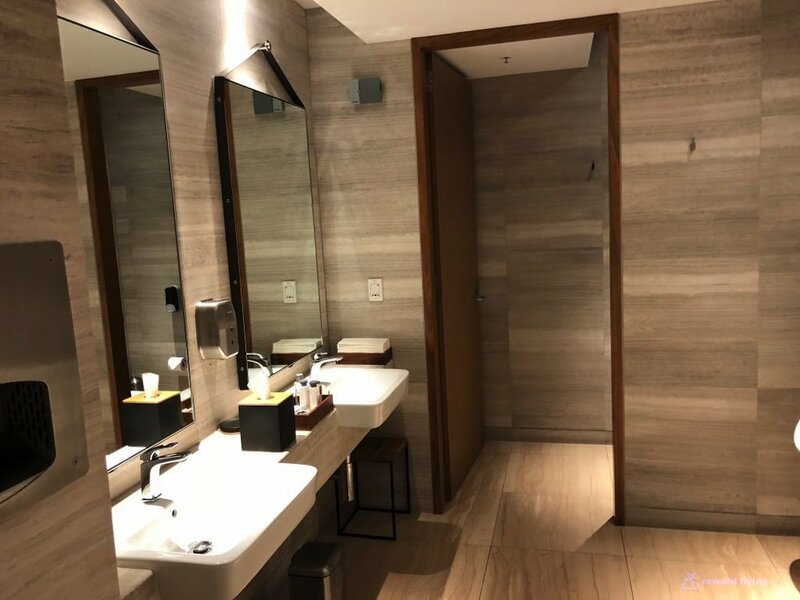 These are actually nicer showers than those in the Private Room at Changi. The only negative of an A380 is there are some many jetways you can never get a good photo! After SQ26 from JFK-FRA-SIN last year and getting a view of the cabin, I choose seat 1A because of its privacy. The knock on this seat, according to blogs and reviews, is that it only has 2 windows versus 3 windows in row 3 seats. These 2 windows are good enough for me. I highly recommend this seat or its counterpart 1F if you want to be alone on the plane. The grand staircase of an A380 to business class, although it’s not used. A storage area for the crew next to and slightly aft seat 1A. I ventured upstairs only to find someone wondering why he didn’t book Suites class. 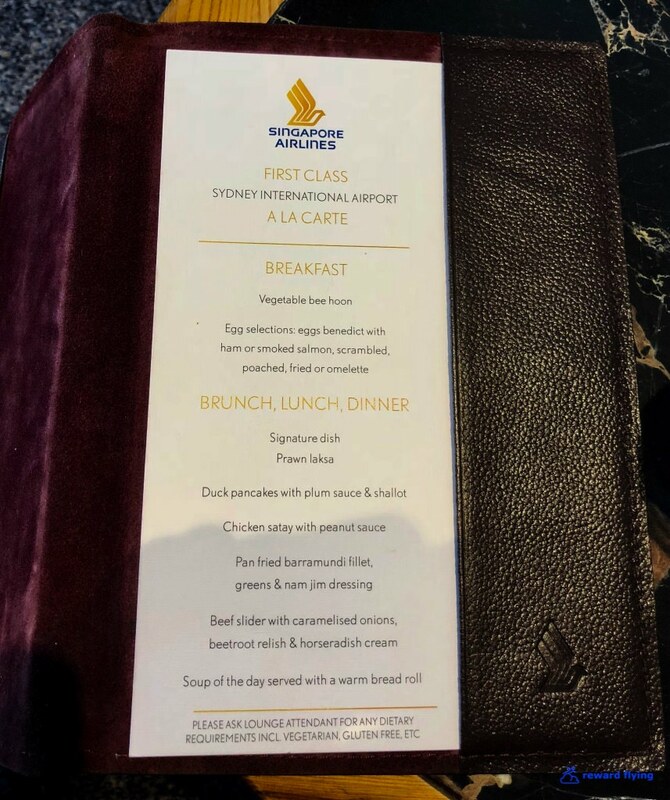 Singapore Airlines recently changed their amenity partnership to a French company called Lalique. It was timed to commence with the new A380 cabins and apparently now is system wide. I kind of think they won’t allow you to use the candle during flight. 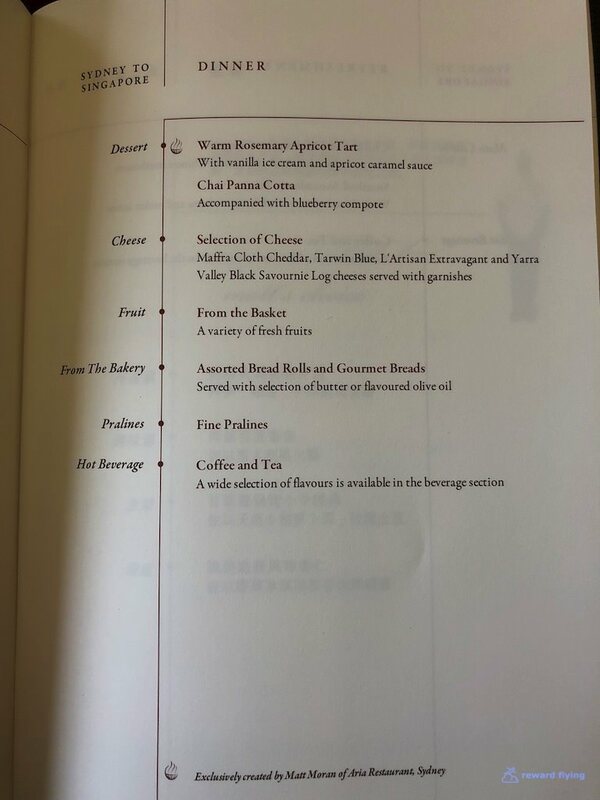 And the Singapore Airlines A380 lavatories were well stocked with any other amenity you might need. We departed on a northerly route because of the foul weather, spoiling my plan for aerial photos of Sydney for the second day in a row! And Book the Cook. Since this was an Australian flight and Barramundi is local that would be my choice. Service began shortly after leveling off. Chilled Malossol Caviar to start. Connie, a lovely Singapore girl took care of my request. Next was a soup course. I choose the Cantonese Beef Broth which was rich and warming. Perfect for a day with the chilly rainy weather that I’d just left. 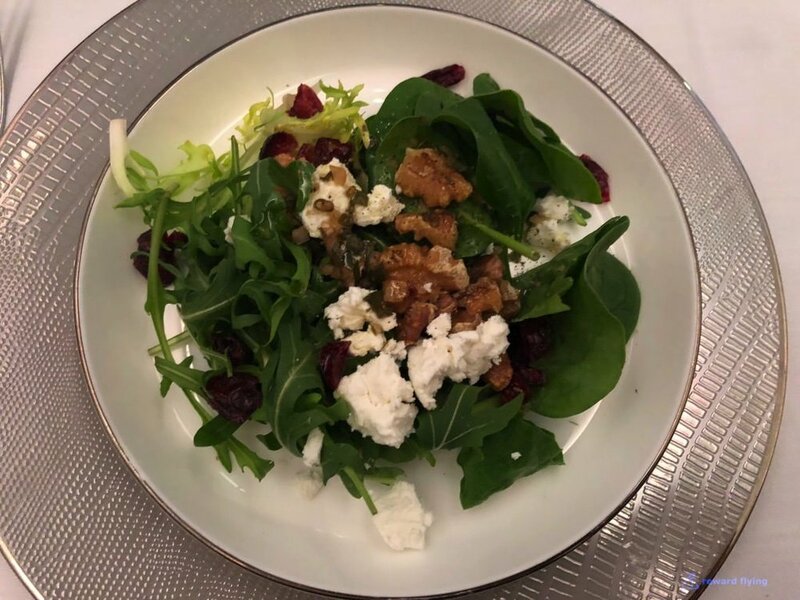 Next was a salad made with some of my favorite ingredients; baby spinach, goat cheese, dried cranberry and roasted walnuts. 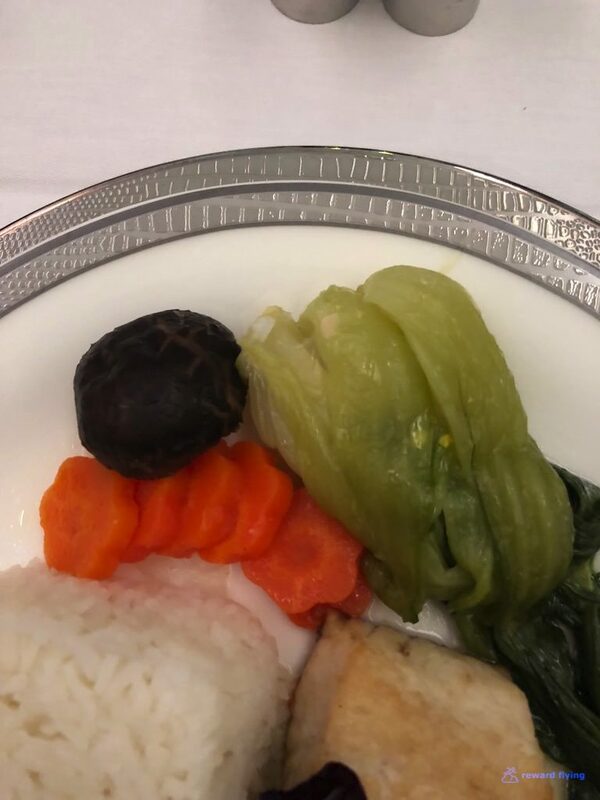 While there was nothing bad about this dish, there wasn’t anything outstanding either, including the presentation. But then again, black bean sauce is most likely going to be black! I just didn't think the sauce complimented the fish and the rice and vegetables were plain. Not willing to surrender I went for the cheese course. All were delicious except the Tarwin Blue as I’m not a Blue fan. Almost done, best for last? Yikes, was this tart good! Unfortunately it had to end. Originally I had booked this flight home with Singapore Krisflyer points. The route was on this same SYD-SIN flight on a different day, an overnight layover in Singapore, then SQ SIN-NRT, an overnight layover in Tokyo, then ANA NRT-ORD, all in first class. The total points at the time were 125K which was a steal. Krisflyer has since changed the redemption from Australia to North America to 152,500 points. 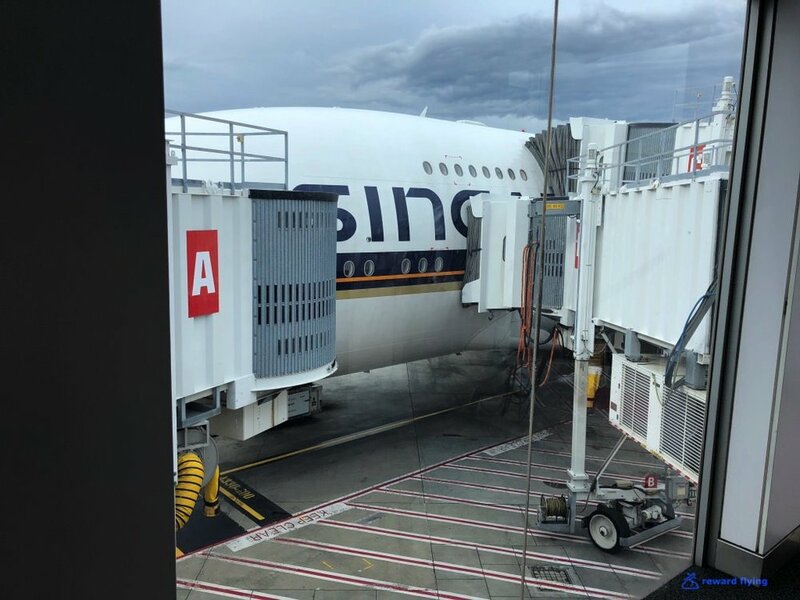 This flight by itself from Australia to Singapore is 80,000 points. ✔︎Great seats, even for extended sitting. I did not have the been made on this flight. 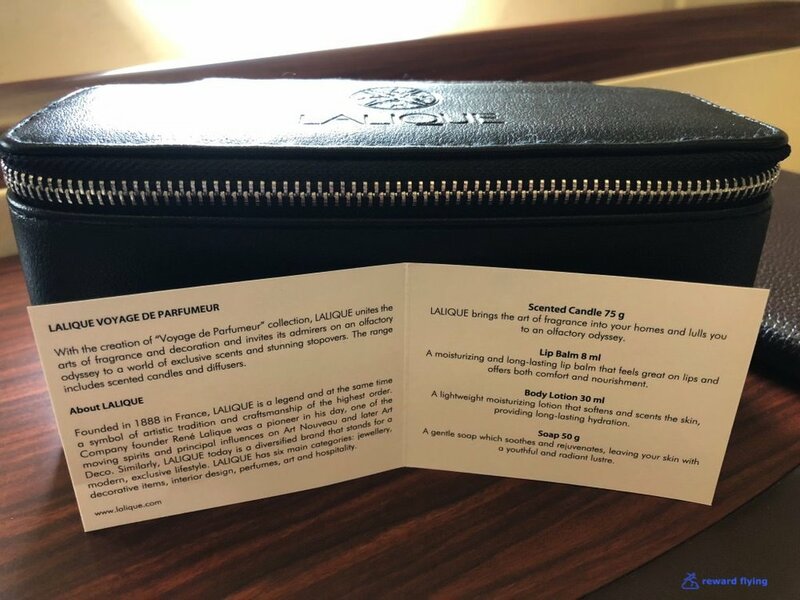 ✔︎The new Lalique amenities are a nice improvement over the prior Salvatore Ferragamo kits. ✔︎The food on this flight was very good. Maybe not outstanding but top tier for sure. ✔︎Singapore Suites monitor is large, but it’s slightly off center and is not a high definition screen. ✔︎Another excellent Singapore Airlines crew. Their polish stands out but their personalities make them shine. ✔︎A380. These aircraft are a joy to fly in.